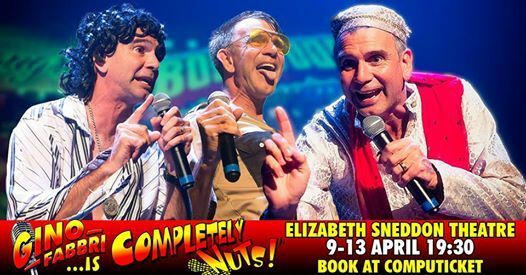 Laughter abounds and the spotlight falls squarely on ‘crazy’ as comedian/drummer Gino Fabbri returns to Durban following his recent ‘Common and Class’ sojourn alongside Ian Von Memerty. 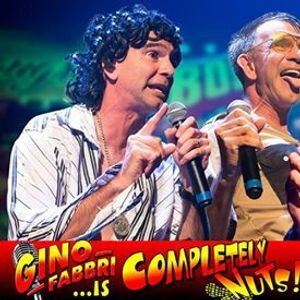 The laugh a minute comedy ‘Gino Fabbri is Completely Nut’s’ comes to the Suncoast Barnyard Theatre on 4 April at 8pm and 6 April at 2pm, before settling down at the Elizabeth Sneddon Theatre from 9 to 14 April. These include a self-deceiving Latin Lover , an over-zealous, hip thrusting excessively rule-bound traffic cop, a talentless pop-idol wannabe with parental and self-esteem issues, a wheeler-dealer Indian business-man who battles to prevent his inner monologue from spilling out and an entertainer extraordinaire who is a lot less extraordinary than he thinks. The Eastern Cape-based Fabbri has become a popular fixture on the national corporate entertainment stage, where is seen regularly appearing in the guise of his various persona’s as musical comedy MC. He is co-owner of the production company Centrestage, which has staged a number of hit tribute shows in Durban over the years. Tickets for the Suncoast Barnyard shows cost R140 and can be purchased by calling 031 940 0500, whilst tickets for Fabbri’s Sneddon run are available through Computicket.